Its already August and the school summer holidays are in full swing but it won't be long before school opens in September. Shops are already geared up with school uniforms, stationery shops are all packed with back to school stationery and bags. 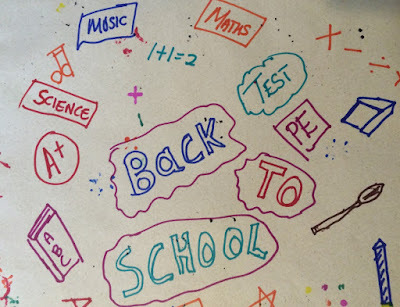 This month the Bostik challenge box has a "back to school" theme. As always Little M and I always create a craft together from the bostik box, but Little M visiting her grandparents for the summer holiday so she was not able to create the craft with me. This month in the box there were lots of funky foam letters and alphabet, a pencil holder some card , fabric and a tote bag. 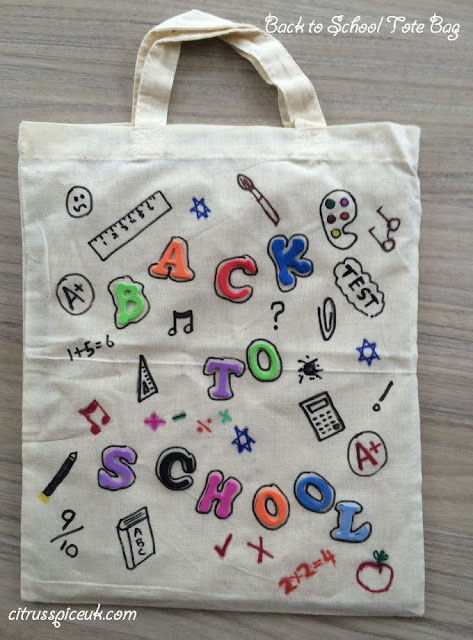 I really liked the idea of decorating the tote bag with a back to school theme. The bag is perfect to carry a sandwich and a small drink or alternatively note book and pencils. 1.First place the old magine inside the tote bag so that when you draw on it the ink will not pass through the fabric to the other side. 3. Using your coloured pens Draw any type of school doodling on the bag. 4. Leave to dry with the magazine still in it so that the ink does not transfer to the underside of the bag. Once the ink is dry remove the magazine and your bag is ready to fill with scool goodies or stationery. Oh that's so cute, you did a great job. Can't believe it's nearly back to school time! Feels like the summer holidays have only just started. I don't have kids but I'm not averse to a bit of crafting myself! What a great activity looks fun to do and a great way to be more creative. How creative, I am loving this DIY, so cute. I am so bad at DIY so I am always happy checking out other people's. This is such a fun little craft. I like the cute designs you drew on the bag! My children would love to make their own bags like this - great idea! 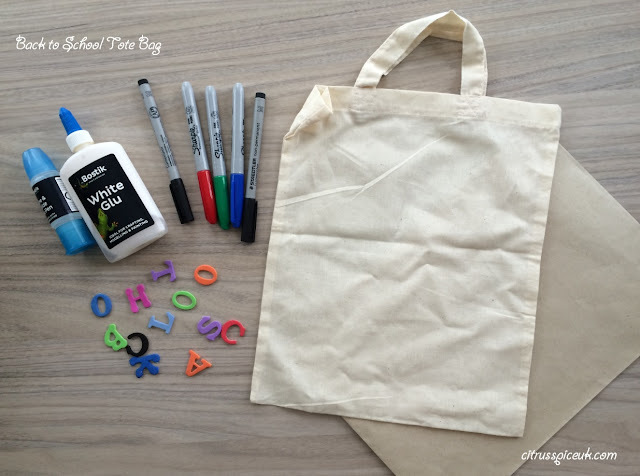 The bag looks so cute - such a great thing to do to keep the kids busy!! totes amazing! Looks fab, we love crafting and have enjoyed lots of project too over the summer :) seems the summer is almost over already! This is so cool, I should make something like this for my niece for nursery. What a sweet idea! This is so creative. I like the finished look of the bag. That is such a fun project. I bet kids love doing it. Where has the summer gone! 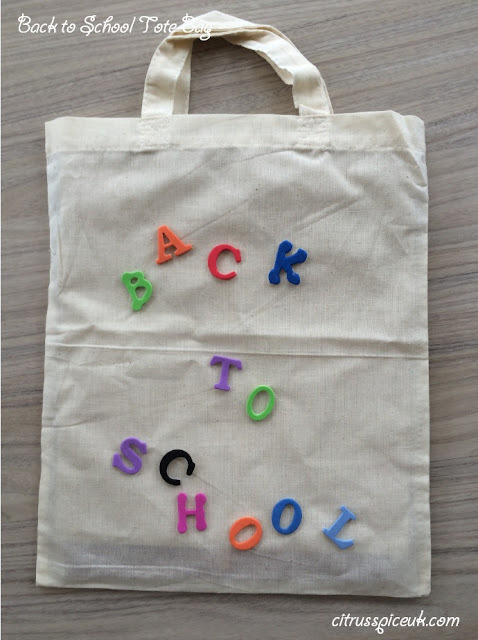 At least you have a really cool back to school bag for some lucky student! This is such a cute idea! 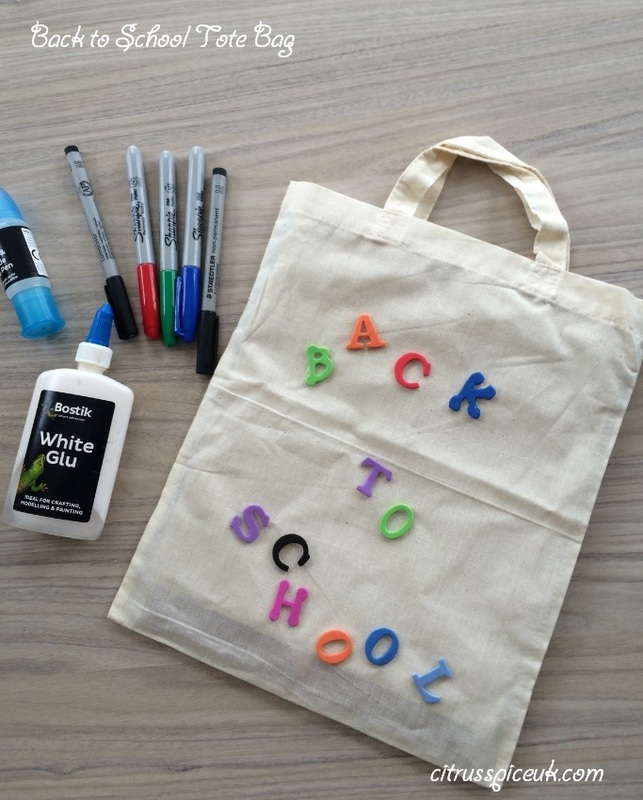 I love the idea of making a plain tote more personalised! That looks like a great activity to keep little ones entertained. My girls love arts and crafts so would love to do this too. Fun idea to use the foam letters to make a 3D design! This looks like such a fun activity to get younger ones excited about going back to school!